There are many great Australia yacht charter boats available. The two internationally known and world-class yacht charter areas in Australia are the Whitsunday Islands and the Great Barrier Reef in Queensland and the Pittwater or Hawkesbury waterways in the New South Wales, near Sydney. 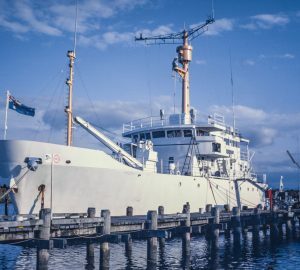 The Whitsundays and Pittwater, however, aren't the only yacht charter locations in a country similar in size to the continental United States. Here we cover all you need to know to make a wonderful holiday when a hiring a luxury yacht in Australia. Australia's islands offer the warmth and beauty of the South Pacific, with the sophistication and quality of any first world country. The facilities are superb, the food and wine - a culinary delight; the scenery - spectacular. 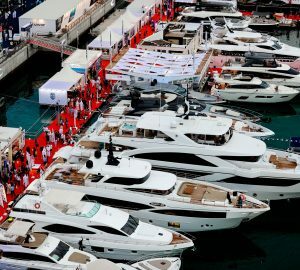 All the large international yacht charter companies have bases in Australia and there is an increasing superyacht presence around Australia's sandy shores. The types of luxury yacht available for Australia yacht charter include motor yachts, sailing, skippered, crewed yachts, catamaran, power boat, sailboat, luxury yachts and superyacht charters. Australia is a large island bordered by the Pacific Ocean, Indian Ocean, Southern Ocean and the Tasman Sea, providing plenty of exciting options for yacht charterers to explore the beautiful coastline and experience a truly Australian yacht charter. Australia can be considered as the epitome of beauty and contrast, with a diverse set of attractions to explore including huge deserts, wide open spaces, mountains, diverse topography, rivers, lush tropical bush, amazing azure waters, unique and amazing animals and mammals as well as an easy going and friendly local population. 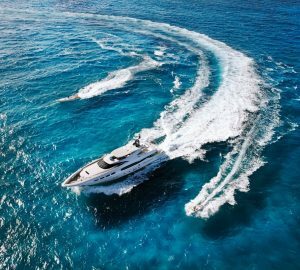 Australia is one yacht charter destination that is like no other, dubbed by tourists and yacht charterers as the land of “Crocodile Dundee” with outdoor adventure and leisure and everything that is exciting under the sun and by the sea. Australia is considered as one of the most prominent tourist destinations in the world in part because of the diverse marine life it offers. For example, people come from far and wide to see the Great Barrier Reef in the Pacific Ocean which is one of the seven wonders of the natural world, larger than the Great Wall of China and the only living thing on earth visible from space. 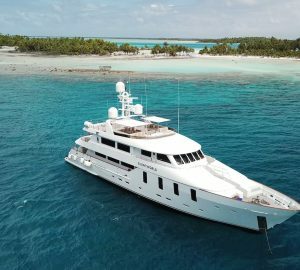 Here, from their charter yacht, visitors can take part in marine activities such as snorkeling and scuba diving while exploring the world's largest collection of corals. From the remarkable weedy sea dragon to the world's largest breeding colonies of Australian sea lions, South Australia's waters are home to some of the most unique and diverse marine life on our planet. Up to 90% of species that live in these rich coastal waters are found nowhere else on earth. 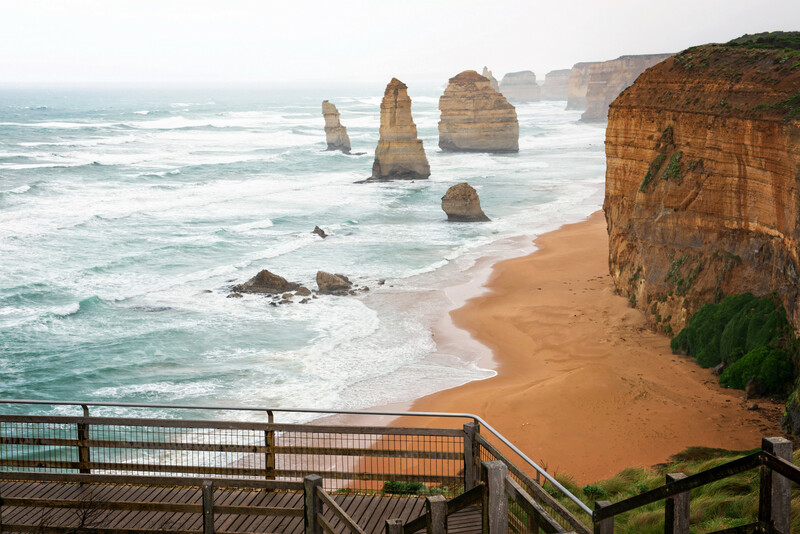 Australia's coastline offers a huge range of environments to sail, cruise, fish, scuba dive, dine and explore. The best way to reach many of these places and experience these adventures is by chartering, hiring or renting your own private crewed yacht. The yacht charter holiday options for Australia are varied. The main attractions of Australia range from its great sandy deserts in the outback to the coral reefs and tropical forests. One of the most popular yacht charter destinations in Australia is the Whitsunday islands. The Whitsundays are a cluster of some 70 islands, which is located in the central region of the Great Barrier Reef and is renowned internationally for offering the best sailing conditions in all of Australia. The islands have over 90 national parks, which provide a relatively undisturbed landscape, several of which you can explore by hiking and trekking. Fraser Island in the Whitsunday's is the largest sandy island in the world and it has a beautiful bird sanctuary. 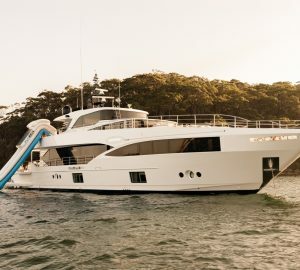 On land, the Whitsunday Island group is home to several upscale yacht charter holiday resorts, and these include those that are located on Hamilton Island and Hayman Island. These luxurious resorts complement the luxury provided on your exclusive motor yacht or sailing yacht and provide the opportunity to enjoy the best of both worlds, combining tropical natural beauty with pure luxury. Another favorite Australian yacht charter destination is Hawkesbury or Pittwater in New South Wales near Sydney where you can mix exhilarating sailing with onshore activities in Sydney such as shopping, the opera house, a harbor bridge walk, live shows, fine restaurants and an excellent nightlife. The Gold Coast, Melbourne, Hobart, Tasmania, Cairns, the Kimberly Coast and Perth as well as other less travelled but spectacular regions of Australia are all luxury yacht charter destinations that await you, which you can explore aboard a catamaran, monohull sailing yacht, large crewed boat or superyacht. The varied geographical regions of Australia with diverse topologies and ecosystems are a treat to experience when you take your Australia yacht charter holiday. Here you can combine the opportunity of experiencing the combination of both the worlds that include tropical beauty and sheer luxury. The state of Queensland is the top pick for sailors for boarding superyachts and luxury yachts. You will find excellent beach resorts in the Whitsundays where you can relax, visit heritage sites, or explore the wonders of the Great Barier Reef. Australia provides a perfect eco system for many species that are unique to this region. No wonder, this wonderland pulls yacht charter crowds from all over the world to marvel at the attractions that this beautiful land has to offer. 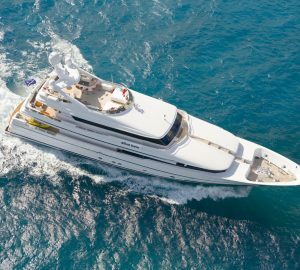 Below is a selection of Australia charter yachts - for more information and additional yacht, please contact us here. Explore Location Guides for great destinations near Australia .